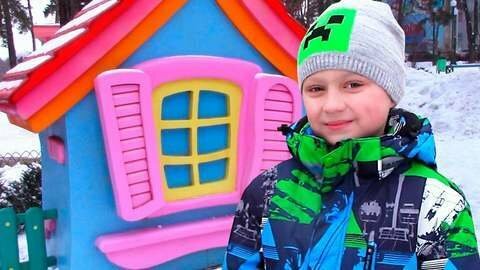 There is snow everywhere but Igor still helps you learn colors while enjoying outdoor play in his educational video for kids. With his warm bonnet and thick snow attire, he plays on the colorful playground and even lies down on the ground to make snow angels. Watch his playful antics as he inspects the giant statues. SeeZisKids.com has more videos just like this so head on there now to watch them.